Google’s new Gmail Tabs feature allows you to better organize your Inbox Emails. 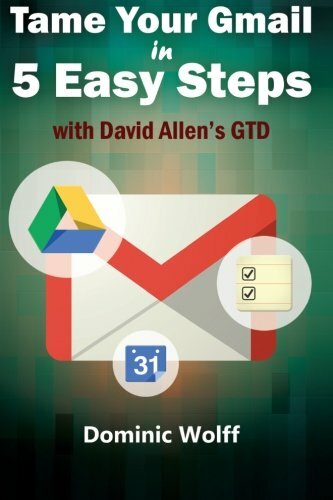 Gmail Tabs can help you streamline your Inbox triage and processing routines. The Gmail tabs feature allows you to focus your attention on specific categories of messages in your Inbox. 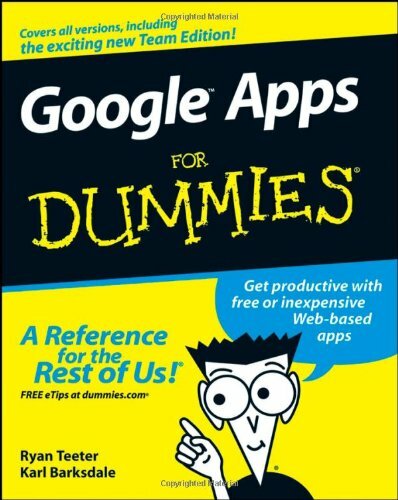 They also can be used to speed your inbox processing by focusing on all the messages in a single Gmail tab at one time. Each tab will display the number of "new messages" in it, along with the first few names of the recipients. The new Gmail tabs are available not only in the native Gmail application, but also in the Android and iPhone Gmail apps! Primary – This is the main tab that contains correspondences from friends, family, and business contacts. It will also contain anything that Gmail does not categorize into one of the other tabs. It is the first tab that appears when you view your Gmail Inbox. Promotions – Most routine marketing Emails route to this tab. This includes special offers, promotional Emails, and newsletters. Social – As suggested by the name, this contains Emails from your social networking sites. This includes sites such as Facebook, Twitter, LinkedIn. Updates – This contains various "transactional" types of Emails. This tab will include order confirmations, receipts, bills, statements, and assorted “program update" messages. Forums– Similar to the “Social” tab, but more focused on social forums, mailing lists, and groups to which you belong. In most cases, the new Tabs should display by default. If you do not see the tabs displayed, here are the steps to turn them on. Use the checkboxes to show or hide each tab you wish to see. Follow the steps above to get to the “Configure your Inbox” option. Remove the checkbox next to any “tab” you wish to hide. If you prefer to see all your messages in one single Inbox list, de-select all the Gmail tabs. (Note: The "Primary" tab will stay checked). When you view your Inbox in Gmail, it just displays a single Inbox with no tabs or categories. Important: If you hide a tab, messages in that category will appear in your “Primary” tab instead. Sometimes you want Emails from a specific sender to always appear in your “Primary” tab, instead of in one of the other tabs. This ensures that messages from important people always are subject to greater visibility and more frequent Inbox reviews then other tabs, such as “Promotions” or “Social”. For example, you may review your “Primary” tab several times a day, but perhaps the other tabs much less often. First, locate the Email in one of the Gmail Tabs. If your cannot find an Email you expect in one of the tabs, make sure to check your “Spam” folder. Gmail may have identified an Email as Spam and moved it to the Spam folder by mistake. Once you find the Email, hover over the Sender’s name and select “Add to Contacts”. 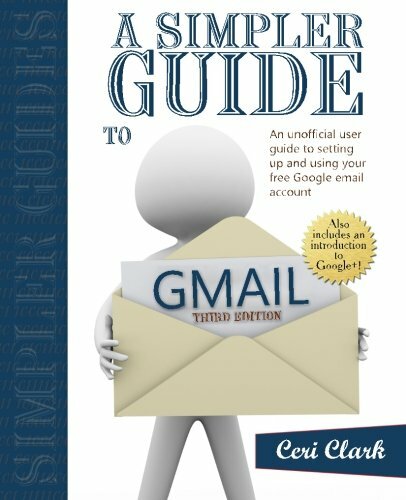 This will add it to your Gmail contact list and avoid it being “Spam” in the future. You can also perform this process in Gmail even before you open the Email. Just hover over the Sender’s name of the message in the Inbox. Select “More” in the pop-up box that appears and then "Add to senders" to save to your Contacts. Next, “Drag and drop” the Email message from its current tab to the “Primary” tab (from “Social” to “Primary” in this example). Once you do this, a message will appear that says “This conversation has been moved to Primary. - Do this for all future messages from sender@domainname.com?" Select "Yes”. This will then add them to your Gmail Contacts list and stop it from getting flagged as “Spam” in the future. Although Microsoft Outlook is my primary Email system, I use Gmail as well. I use it for a few secondary Email accounts which I automatically forward to Gmail. This allows Gmail to serve as a single Inbox for a group of my assorted Email accounts. I have found that the new Gmail Tabs feature helps to streamline my Email review process in Gmail. I focus on any Emails in my “Primary” tab, leaving Emails in the other tabs for less frequent checking and follow-up. Have you used the new Gmail Tabs feature? What is you experience with it? Do you have any other tips or suggestions for how to get the most out of this Gmail tabs? 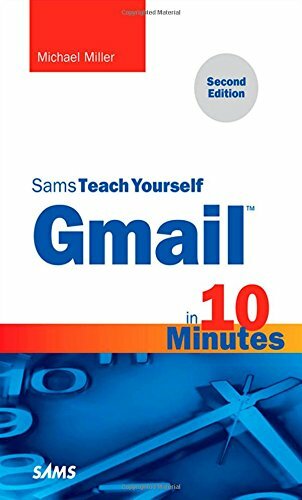 Need help with Gmail? Look at these great books!